A major manufacturer of copper tubing for refrigeration in industrial markets across North America was experiencing failures on the infeed carriage drive gearbox in their pilger miller. The frequent failures were causing over 400 hours of downtime per year at a rate of $100 per hour. This also shortened maintenance cycles and reduced production speeds, causing a production bottleneck that was felt throughout the mill. 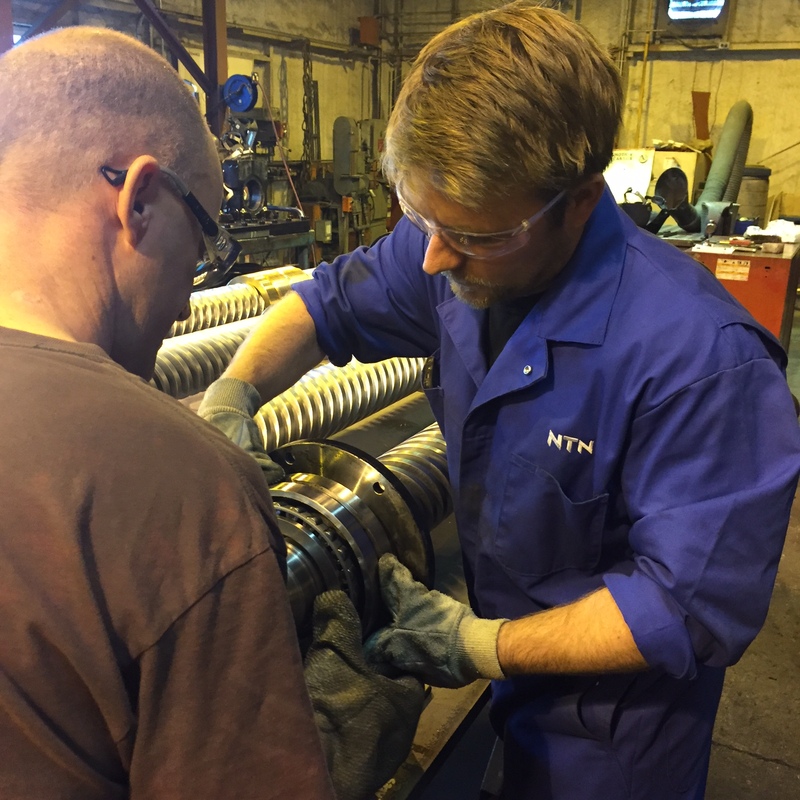 NTN’s engineering and sales support team ran a comprehensive diagnosis of the application and identified that the infeed carriage was thrust loading into the gearbox, causing failures every three to four months and dramatically reducing the mill’s profits. NTN’s team recommended replacing the fixed side bearing of the infeed carriage screws from a spherical roller bearing to a tapered roller bearing mounted in a face-to-face arrangement. This solution is better suited to take thrust loads without transmitting them to the gearbox. An additional recommendation was also made to create four individual screws and two independent roll carriages to decrease the retraction time, minimize any “free” rocking and improve the continuous feeding of the tube. The NTN solution allowed the mill to retract smoothly and reduce lag time in product transfer for continuous feeding of tube product, eliminating lost production time. The increased uptime and improved bearing life have resulted in over $80,000 in savings the first year after implementation. Founded in 1918, NTN has a century of experience when it comes to make a wide range of high-quality bearings. In addition, NTN has a wealth of knowledge and expertise when it comes to understanding bearing products and how to best utilize them. It is because of this experience, knowledge and expertise that NTN is able to deploy a team of industry experts capable of providing services that our customers and end-users need to keep their operations running at optimal levels. We’ve got your back through thick & thin.